The NCAA is trying to limit one of the only times a student-athlete has an advantage. The NCAA likes to say it cares about student-athletes, but its actions continue to tell a different story. On the surface, some of the proposed changes are worthy of applause. The NCAA Division I Council’s proposal has introduced legislation that would allow some athletes to transfer during the summer and be immediately eligible to play for a new school if there is a coaching change before the first day of the fall term. That’s not just fair, it’s overdue. Another proposal: allow walk-ons to play immediately after transferring. Again, that seems fair and not even the biggest control freak coach could reasonably oppose this. Now that we’ve given the NCAA credit for being more lenient, let’s get to the point. One alarming proposal would require schools to commit two years of financial aid for all basketball and football graduate transfers – even if they have only one year of playing eligibility left. This means that a graduate transfer would count against the scholarship limit for two years. Graduate transfers could still switch schools but it makes it decidedly more punitive for colleges to accept them. There is a way to avoid the penalty. According to the NCAA, “a student who successfully completes all (graduate) degree requirements before the start of the second year would not count in the second year. The NCAA will frame this as punishing schools instead of the players. To an extent, that’s true. But what it’s really about is reducing the number of graduate transfer students. In economic terms, they are artificially limiting the demand to reduce the supply. This new rule could effectively end the graduate transfer market as we know it. The losers in this new rule proposal: players. They are being punished for graduating. They are being denied opportunities simply because of a loophole in the NCAA’s heavy-handed and bloated bylaws. Graduate transfers are desirable because they are upper classmen who are immediately eligible. These types of plug-and-play individuals are extremely valuable to filling roster gaps. Some of them may get graduate degrees. Some might not. That’s completely okay, and they already have one degree anyway. There is a cavernous disconnect between what the NCAA portrays itself as and what it actually is. Let’s take the NCAA at face value and operate under the assumption that student-athletes are amateurs. If so, why does this institution keep treating the students as if they’re semi-professionals by restricting their movement? It’s because the NCAA’s lone loyalty is to its membership. Its goal is to keep an unfair infrastructure in place that keeps the revenues flowing. The biggest people complaining about graduate transfers: coaches. They’re unhappy about the possibly that a player they’ve invested time, resources and energy into might leave to seek a better opportunity elsewhere. Never mind that these job-jumping coaches are perfectly fine with abandoning these same kids. Coaches leave schools for bigger conferences, better opportunities all the time without punishment despite the fact they often have long-term contracts. God forbid an unpaid amateur leave for a bigger conference, better opportunity without punishment. What’s funny is that coaches are already in complete control independent of this rule. If you don’t like graduate transfers, then don’t recruit them. That would easily slow the market. But of course, coaches are ultra competitive and the pressure to win is so great that these guys can’t help themselves. 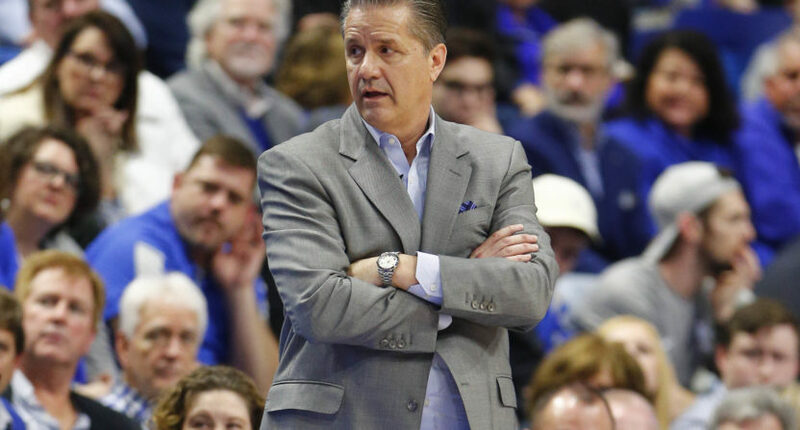 Let’s take University of Kentucky basketball coach John Calipari for example. He has complained about graduate transfers. That same guy, Calipari, will benefit from a graduate transfer this season. He snatched Stanford forward Reid Travis, one of the most coveted players out there. Travis is expected to help the Wildcats be a national championship contender. Calipari will rationalize this by making a distinction between raiding a mid-major versus raiding a Power 5 school. Nonsense. It’s all the same. And the NCAA is trying to stop what in essence has become free agency. Men’s basketball is the sport that would be most affected (2.1 percent of current players are grad transfers). While that number has dramatically increased since 2011 (17 in 2011, 168 in 2017), it’s still relatively small. The NCAA is wasting time trying to correct a problem that doesn’t exist. Then again, why should we expect the leadership to treat student-athletes fairly? It makes billions of dollars exploiting them.